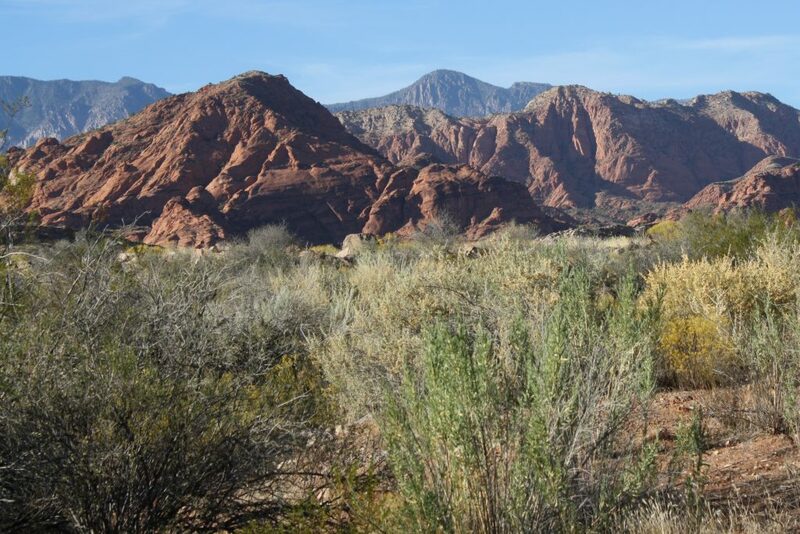 FEATURE – When visitors and residents think of the name Red Cliffs, they may think of the narrow red rock canyon carved by Quail Creek, famous for its pools and steps carved into the sandstone. 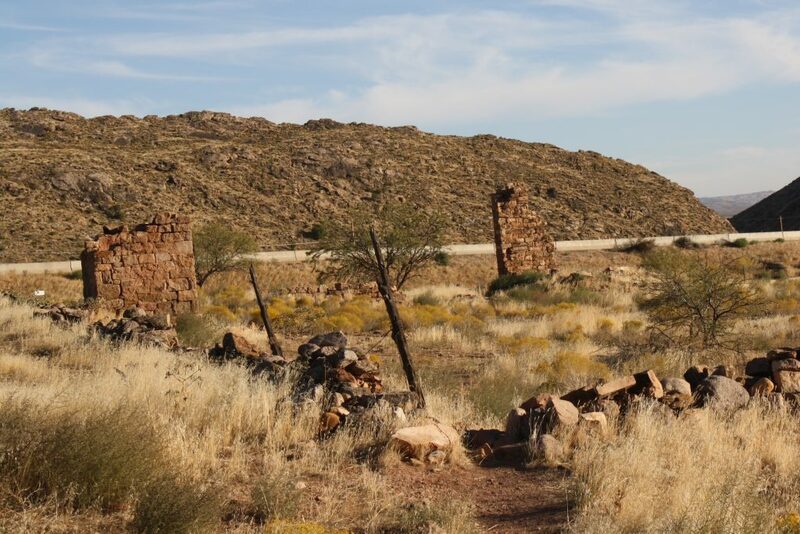 That is the destination of most visitors who come to the national recreation area just north of Quail Creek Reservoir and west of Leeds, but if that’s the only thing they’re seeing, they’re missing a lot – not only scenery, but plenty of history. 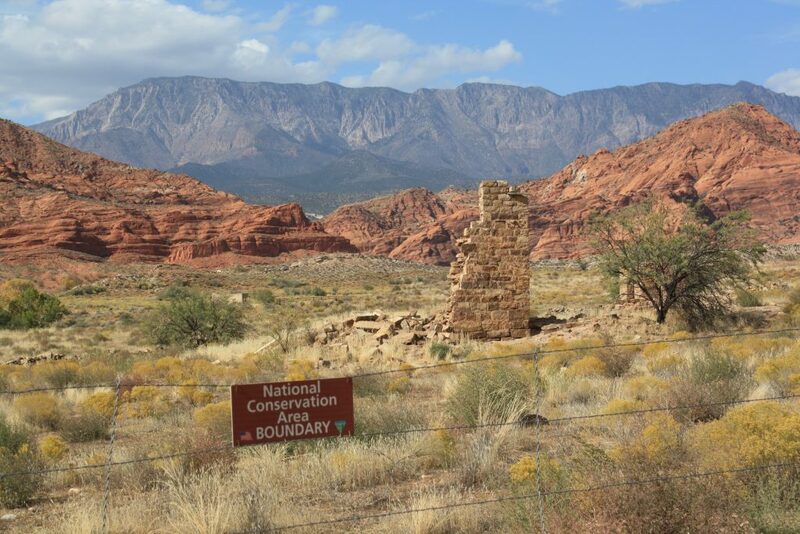 A crossroads of history, Red Cliffs Desert Reserve tells the story of three remnants of three distinct eras of the area’s history – its original human inhabitants (6th-13th century), its Mormon pioneer settlers (19th century) and its use for the production of Western-themed movies (20th century). 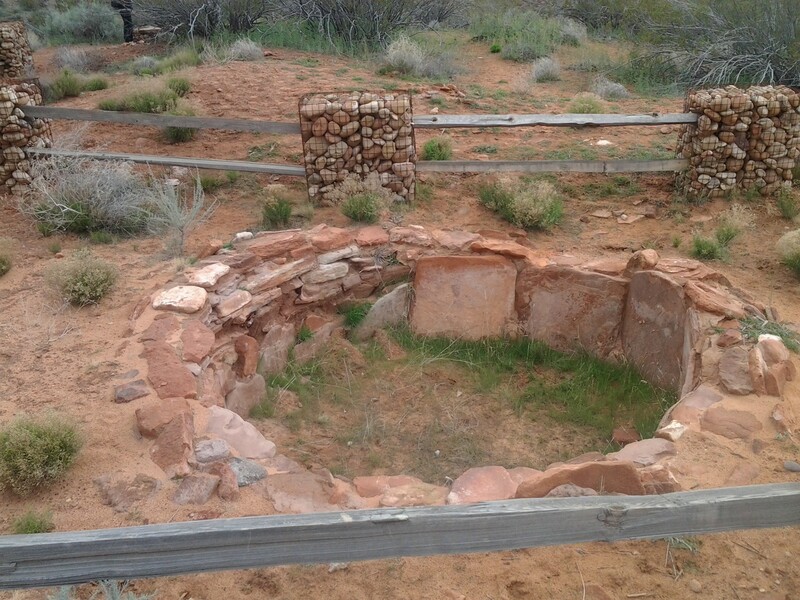 Reached from the campground via the ½-mile Anasazi Trail, the Red Cliffs archaeological site was home to Ancestral Puebloan farmers and displays remnants of their habitation and storage rooms. 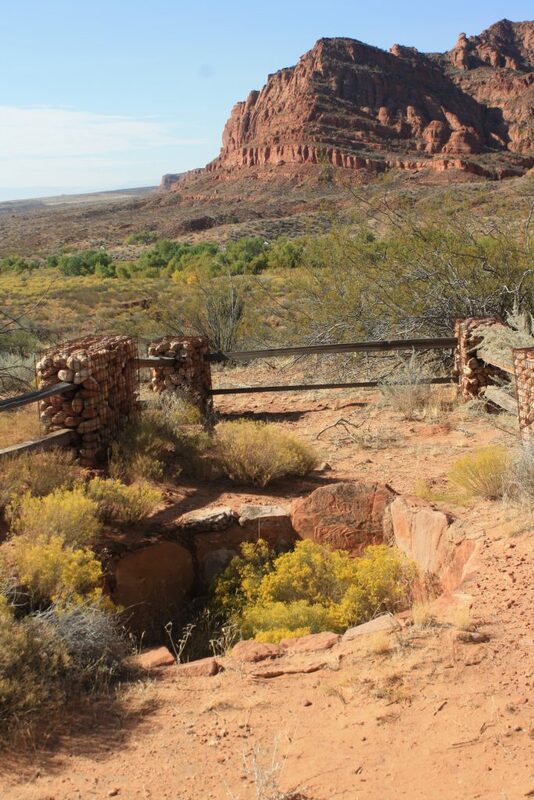 Originally known as Virgin Anasazi by earlier archaeologists, it was determined Ancestral Puebloan is a name that reflects more genetic continuity between them and modern tribes such a the Acoma, Hopi and Zuni. These natives lived in the area intermittently from approximately 500 A.D. to 1200 A.D. They chose the area because of its location near Quail Creek and farmed maize and other crops, including squash and beans. Typically one or two families lived together in pit houses and later multiroom surface pueblos and cultivated small fields located along the creek. In addition to farming, they also gathered local plants and hunted local game, such as mule deer, bighorn sheep and rabbits. 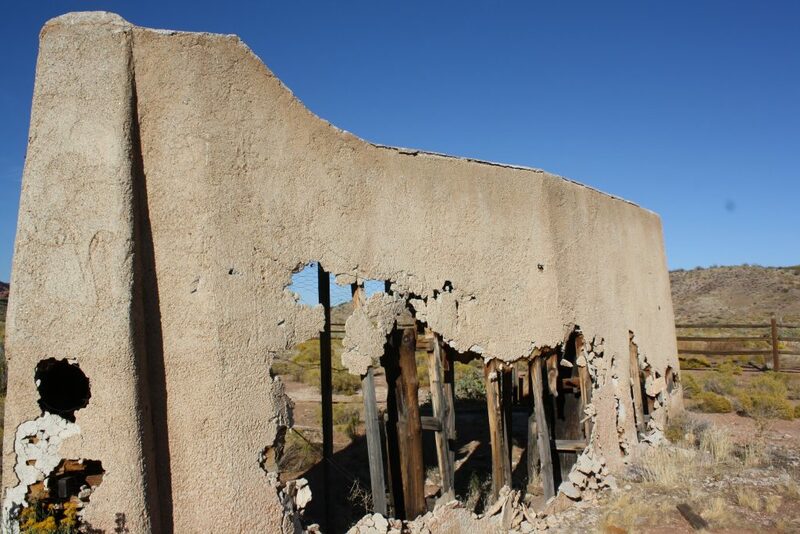 It is believed they abandoned the site in approximately 1200 A.D. due to prolonged periods of drought. 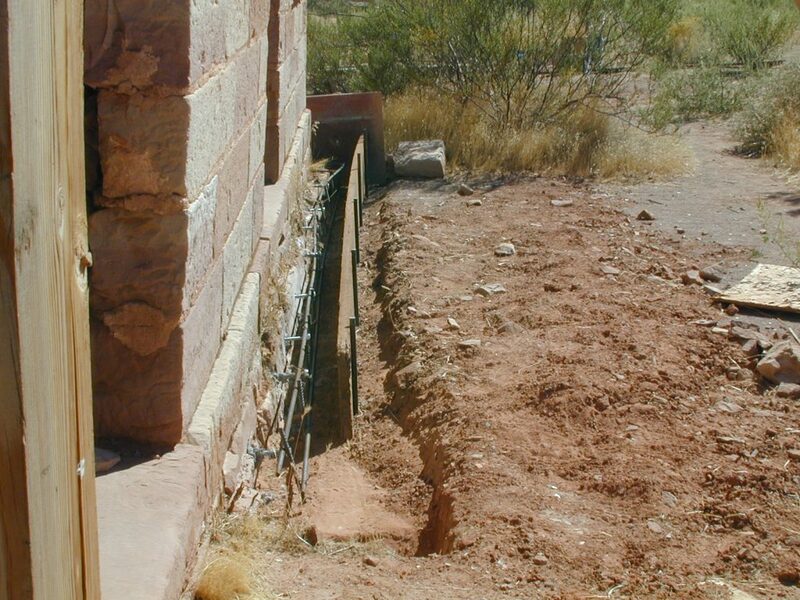 Information about the site was gleaned through an excavation completed by Bureau of Land Management archaeologists between 1977 and 1979. After excavation, some of the ruins were covered back up for protection. 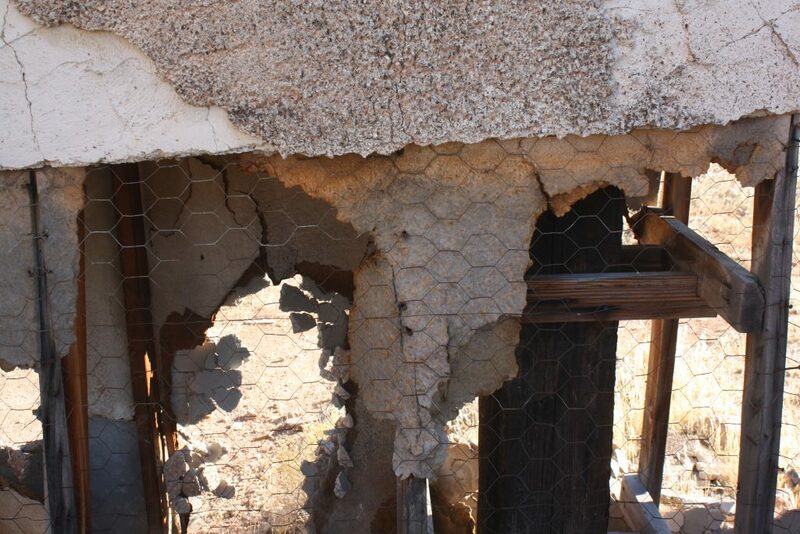 The ones that are exposed have been reinforced with mortar. Artifacts recovered, including stone tools and pottery, are now curated or on display at Southern Utah University museums. 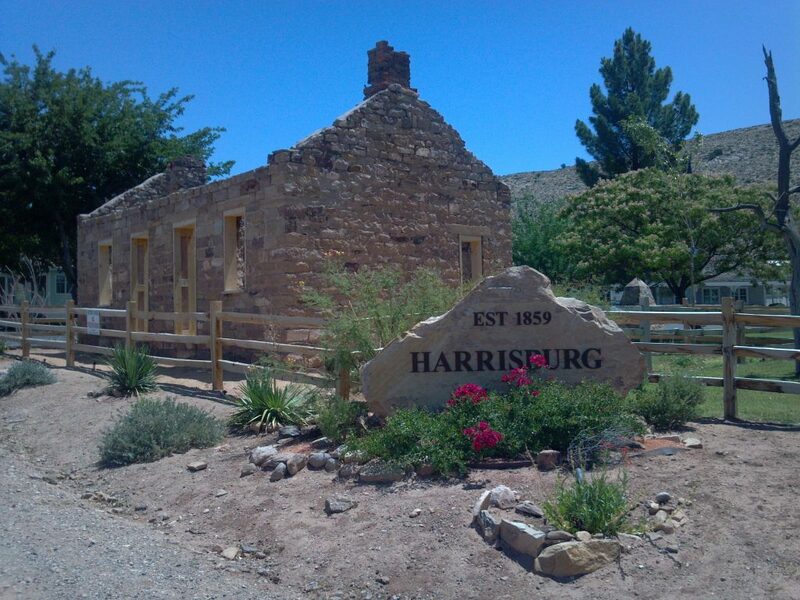 The community of Harrisburg was named in honor of the leader of the original nine founding families, Moses Harris. It was established near White Reef and the flood plain of two creeks, Leeds and Quail. For nearly 20 years, Harrisburg pioneers successfully raised livestock, fruit trees and other crops, constructing a series of flumes and irrigation ditches to harness the water from the two creeks to water their crops. 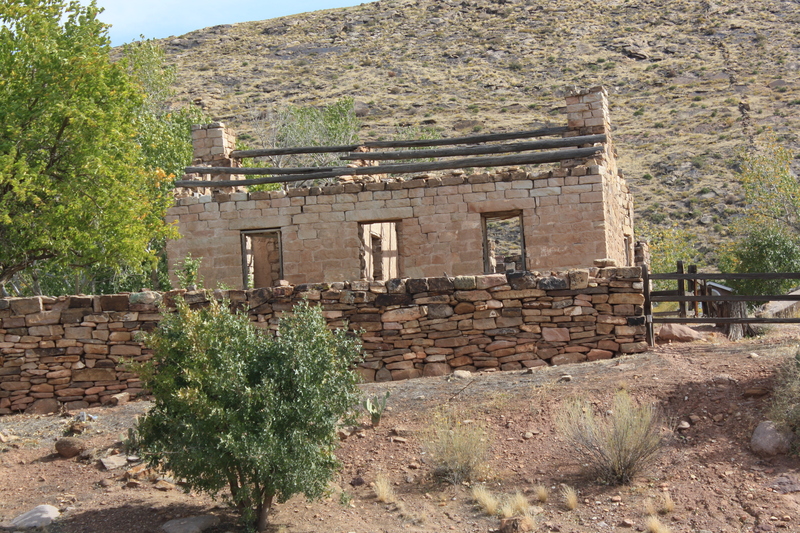 While it existed, nearby Silver Reef provided a ready cash market for the town’s meat and produce. 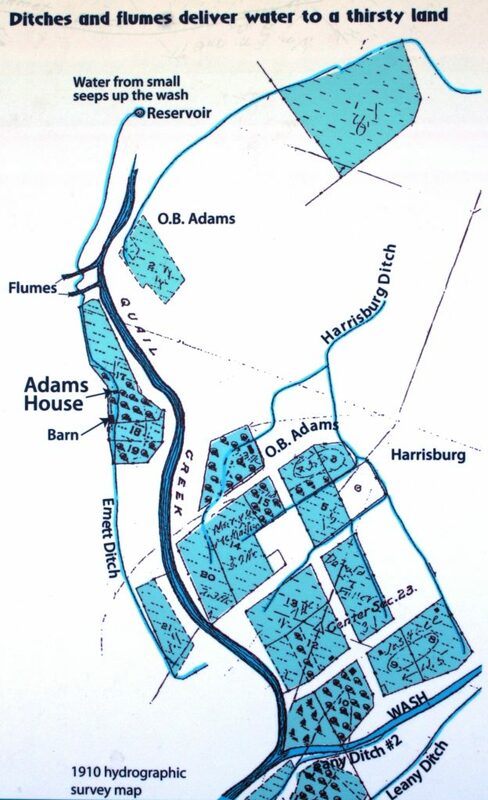 In 1867, the new upstream settlement of Leeds began to siphon off some of the water from Leeds Creek, making the supply inadequate for Harrisburg residents. 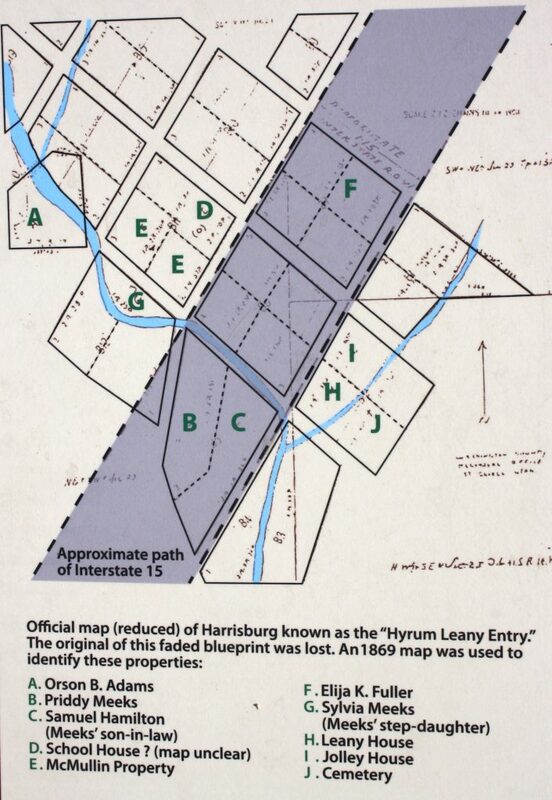 By the late 1880s, most of Harrisburg’s settlers abandoned the settlement, many of them deciding to move to Leeds. The lone building that has remained intact from that short-lived settlement is the approximate 675-square-foot home of the founding families of Harrisburg, Orson and Susannah Adams. 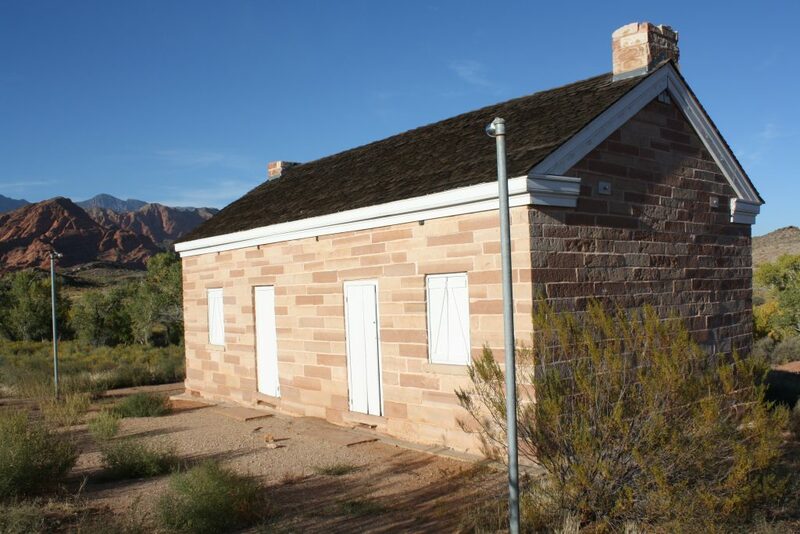 Expert stonemason William G. McMullin and his sons built the native sandstone masonry house between 1862 and 1865, which stands along the road to the Red Cliffs Campground. 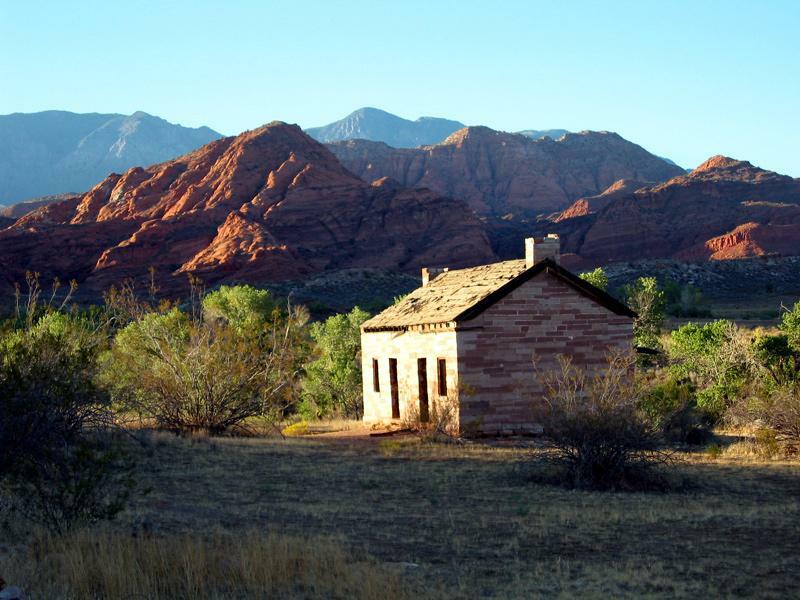 It is a prime example of early Utah vernacular architecture, with an alternating pattern of red and white sandstone. It is a building that blends with its surroundings, much like the “parkitecture” in nearby national parks. 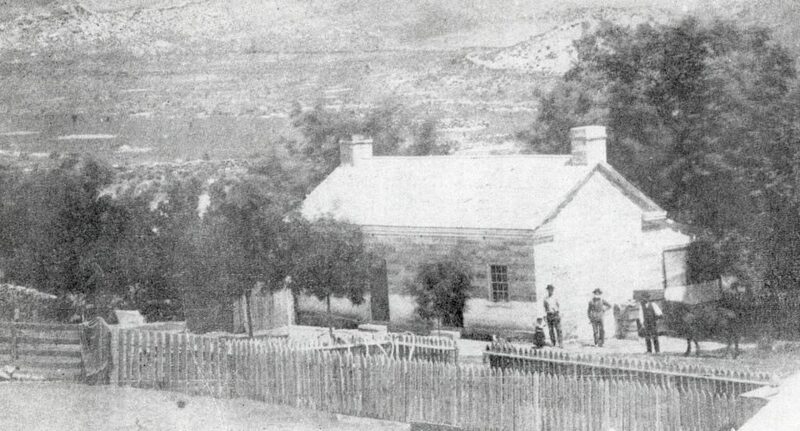 Previous to settling in Harrisburg, Orson Adams was on the front lines of early Mormon history, helping build the Nauvoo Temple and serving as a member of the Mormon Battalion with Susannah (later Adams) coming along with him on the trek from Council Bluffs, Iowa, to San Diego, California, as a laundress and nurse. 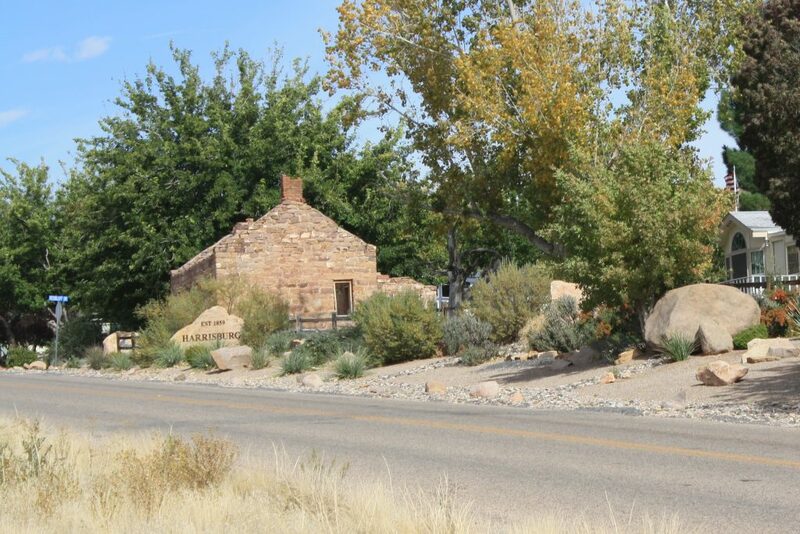 John Kemple, who made the first discovery of silver in the surrounding rock reefs that eventually led to the establishment of the mining boomtown of Silver Reef, stayed with the family in the winter of 1866-67. It is believed he found traces of silver just southwest of the Adams home. Orson filed a mining claim under the Union Mining District that Kemple created and in 1874 became president of the new Harrisburg Mining District. The Adamses lived in the house until 1892, when Susannah Adams died. Orson Adams lived the remainder of his life, until 1901, at his daughter’s house in Leeds. 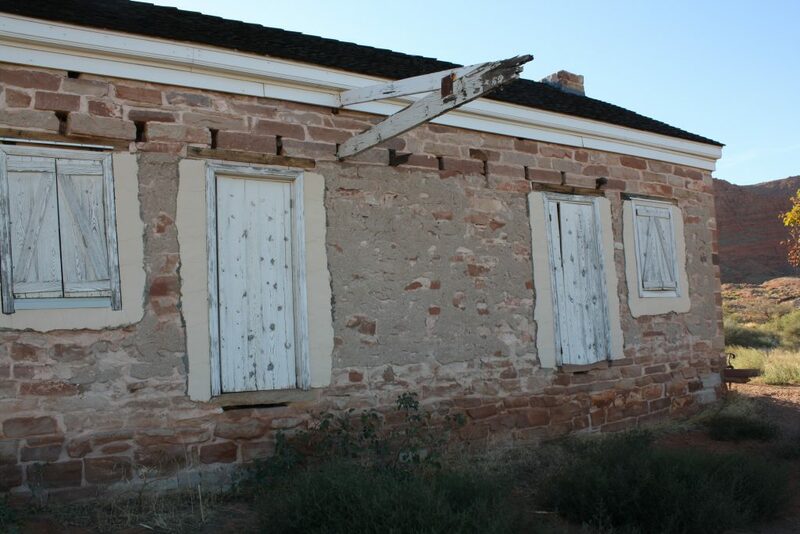 William Emett and his wife, Katie, purchased the home from the Adamses’ daughters, raised their seven children there and successfully farmed in the area even after other settlers had left since their water came from Quail Creek. They grew grapes, alfalfa and fruit, including what some would say was the best watermelon in the area. Evidence from archaeological digs also suggests they sold wine and beer. They were the last family to inhabit the Adams home, doing so until William Emett’s death in 1944. Successive owners let the home fall into disrepair. 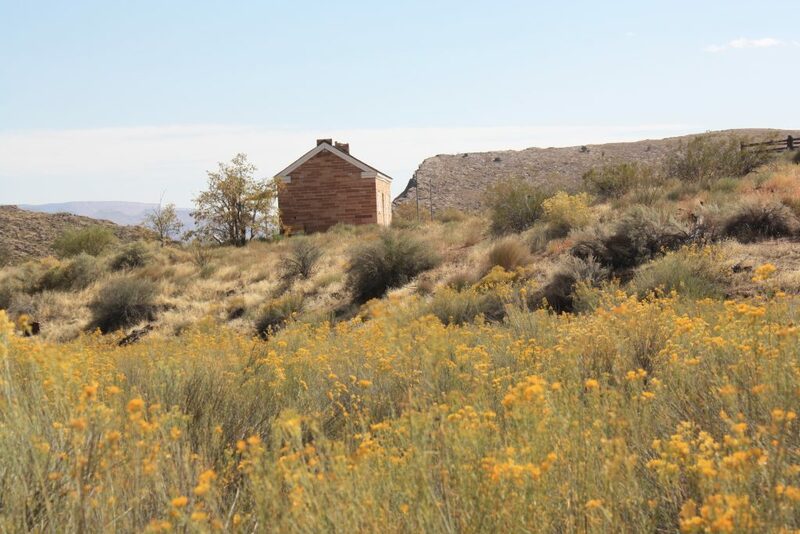 The house and 215 acres surrounding it were offered up for sale in 2001, potentially as a residential subdivision, but the BLM, recognizing its historic and riparian value, acquired the property – which included terraced fields, former orchards and vineyards, irrigation ditches and rock-walled livestock corrals – with Federal Land and Water Conservation funds. 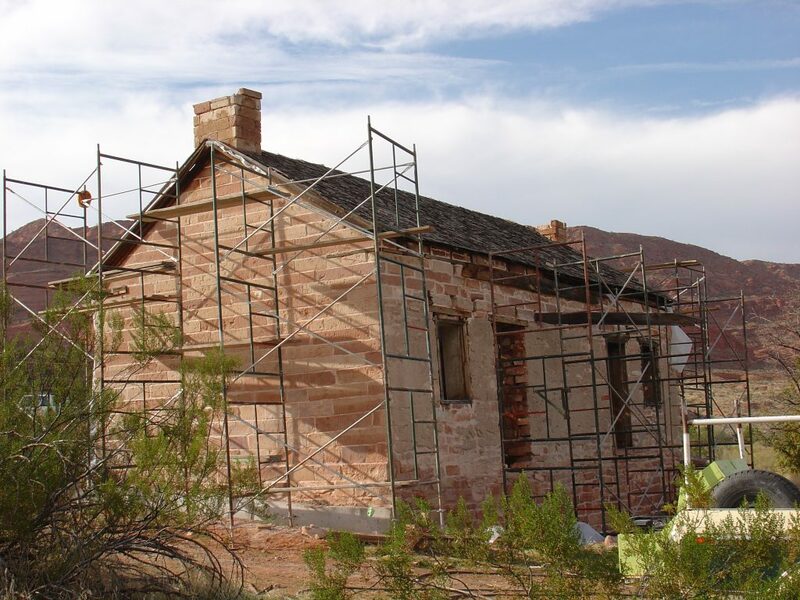 The BLM, with the help of the Utah Historical Society, Washington County, the Utah Heritage Foundation and the National Trust for Historic Preservation, rehabilitated the home between 2004-2005, which required stabilizing the walls, installing a foundation, replastering and repainting the interior and replacing the wood shake roof. A Mexican Village in Harrisburg? 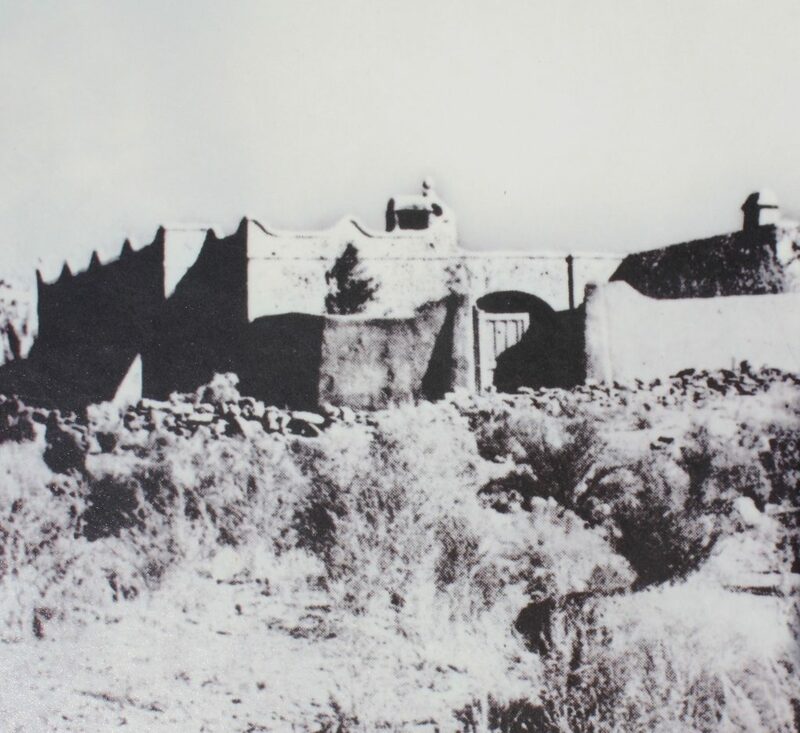 In spring 1958, Harrisburg came alive for a short time while it doubled as a Mexican village during the filming of Columbia Pictures’ “They Came to Cordura.” Crews hastily constructed a replica hacienda, complete with a plaza and fountain, largely out of wood framing, chicken wire and stucco. Today only one of the walls of that building remains and piles of rubble from what has already fallen down sit nearby. The part still standing looks like it could fall at any moment. 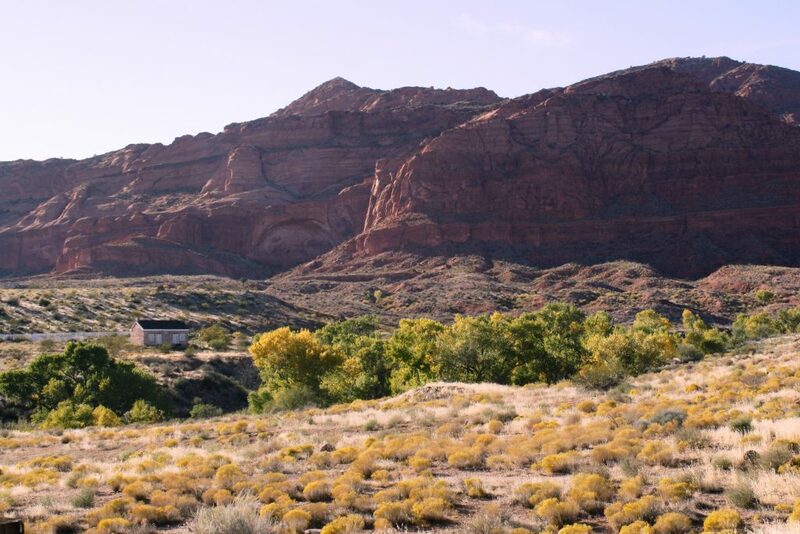 The site near Harrisburg played host to a scene in which mounted U.S. Army cavalry charge Pancho Villa’s revolutionaries; Snow Canyon was the site of camp scenes. Columbia hired over 350 locals for the film in different capacities. The movie starred Gary Cooper as career army officer Thomas Thorn, who is tasked to lead four Medal of Honor candidates from Mexico to an army post in Cordura, Texas, in 1916 during the U.S. military campaign against Pancho Villa and his band of rebels. At the villa, owned by a U.S. expatriate Adelaide Geary, played by Rita Hayworth, they enjoy her hospitality but ultimately take her along on their journey as a prisoner for sheltering the enemy. The movie’s theme was a lesson on moral courage. 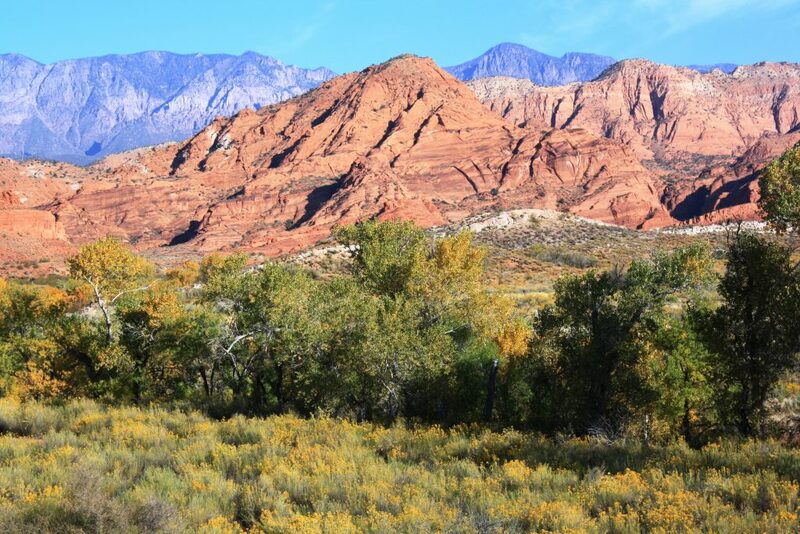 Red Cliffs is located just north of the Harrisburg KOA/RV Park approximately 14 miles northeast of St. George by accessing Old Highway 91 via the Gateway Industrial Park (6300 West) or the Highway to Quail Creek State Park (5300 West) or exiting Interstate 15 at Leeds / Silver Reef and traveling south on the east frontage road to a narrow interstate underpass providing access to Red Cliffs Campground. 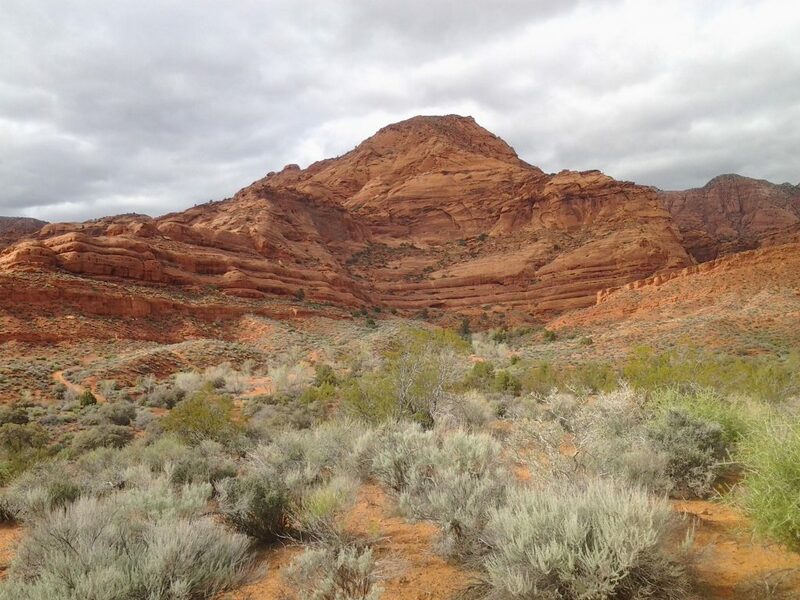 Red Cliffs, administered by the BLM, is part of the Red Cliffs National Conservation Area designated by Congress in 2009 “to conserve, protect and enhance the ecological, scenic, wildlife, recreational, cultural, historical, natural, educational and scientific resources of public lands,” an interpretive sign states. 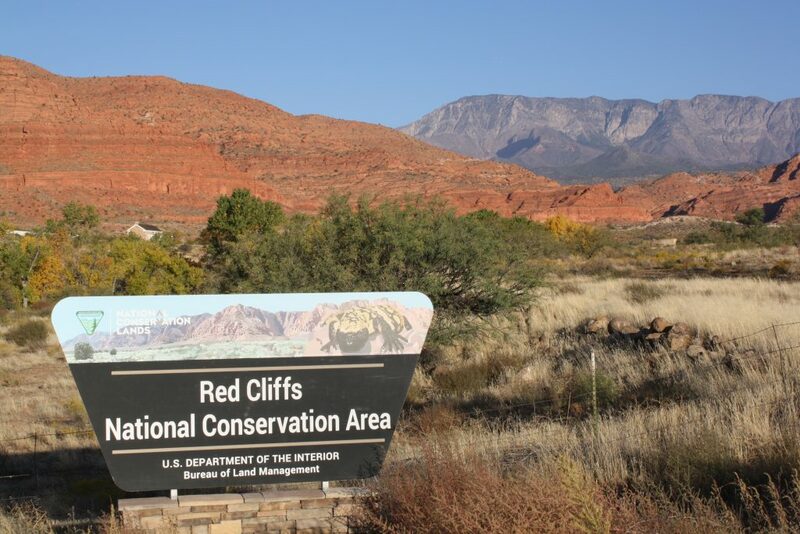 It is located in an ecological transition zone between the Mojave Desert, the Great Basin Desert and the Colorado Plateau and exhibits “unique geologic history in its red rock cliffs, basalt lava flows, rugged canyons and windblown sand dunes,” the sign states. In addition to evidencing the past human footprint, it is also home to fossils and dinosaur tracks preserved in the rocks. 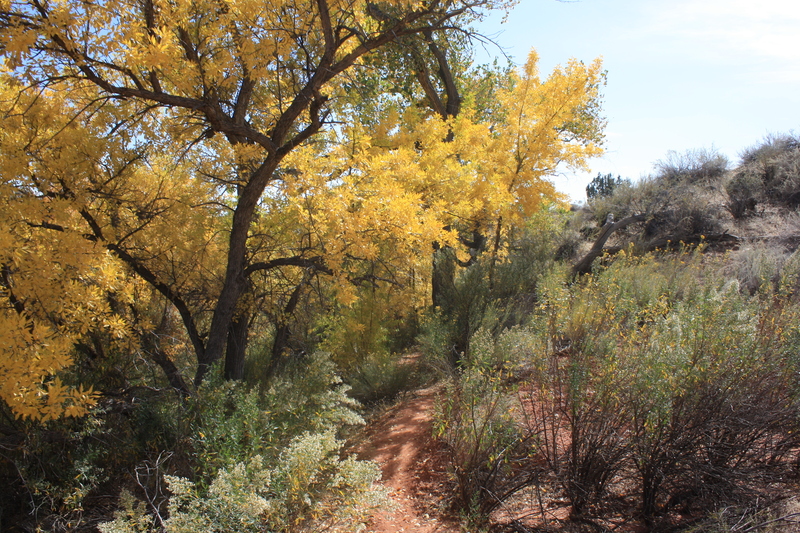 Access to the Anasazi ruins is via a 0.5 mile trail (one-way) from the campground. 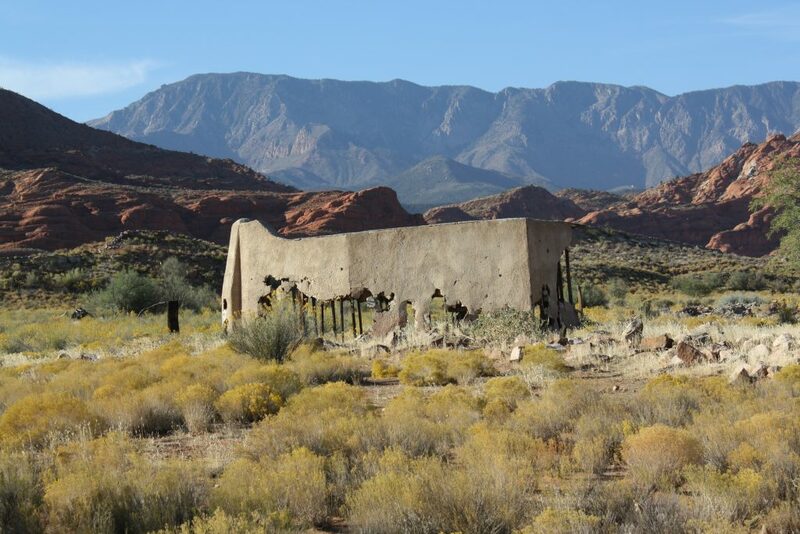 The ruins sit on a hill above the surrounding landscape that offers stunning views of the red rock ridges and Pine Valley Mountains to the north as well as the area’s mesas to the southeast. 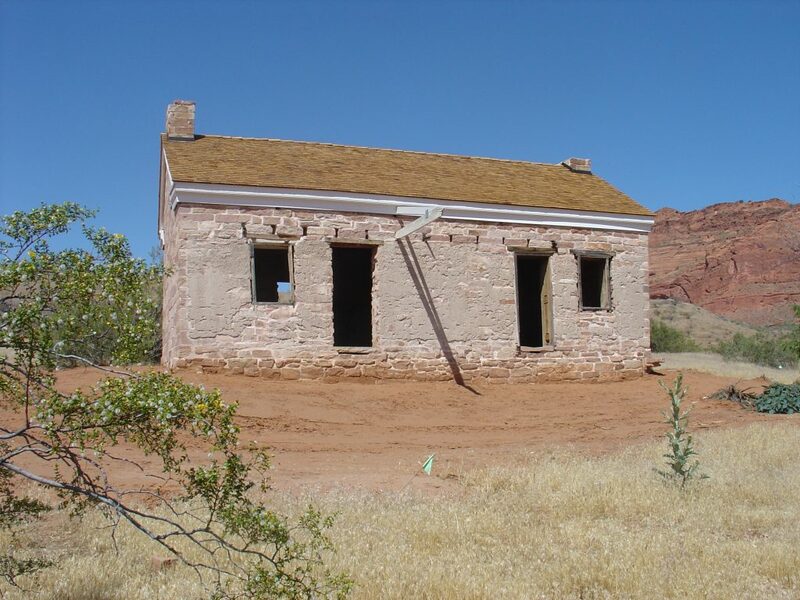 Visitors can access the Adams House from the road to the campground but also along the Adams Trail, which is part of the White Reef trail system. 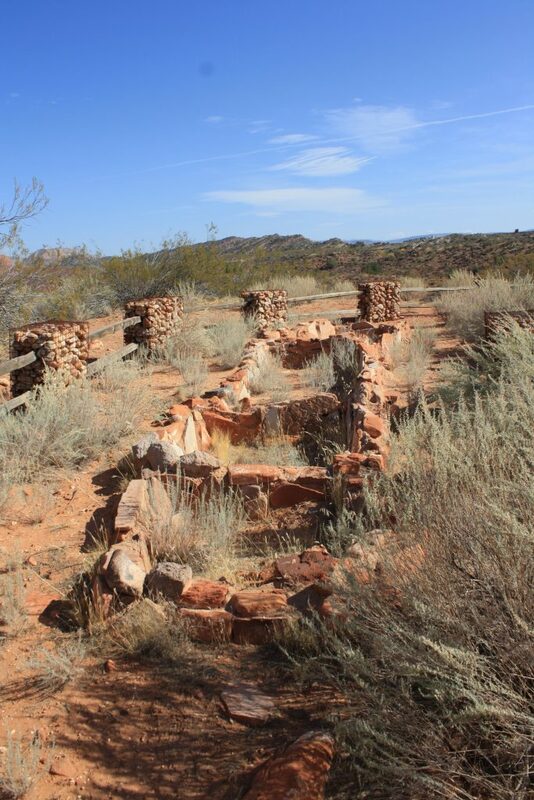 The remains of the Cordura movie set are along the White Reef or Cordura trails. Fall, winter and early spring are ideal times to explore the historic points along these trails as the weather is milder. 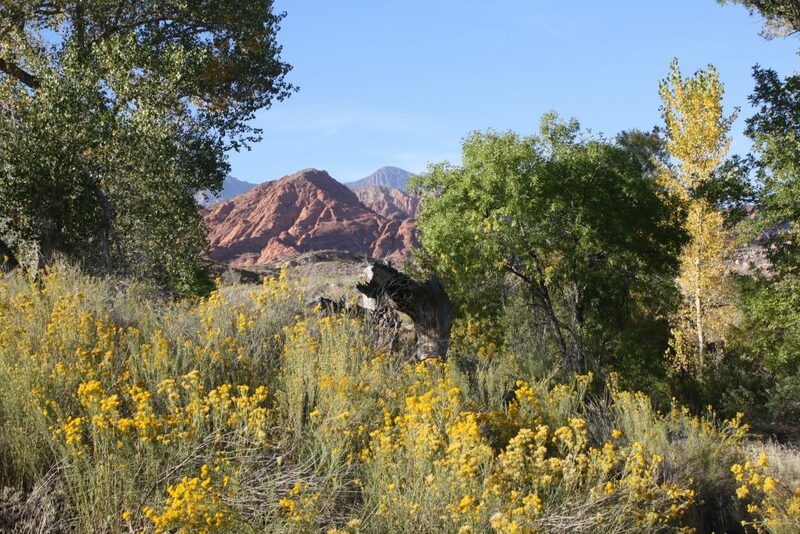 The campground/picnic area is an ideal place to sit and enjoy the scenery while taking a break from exploration. 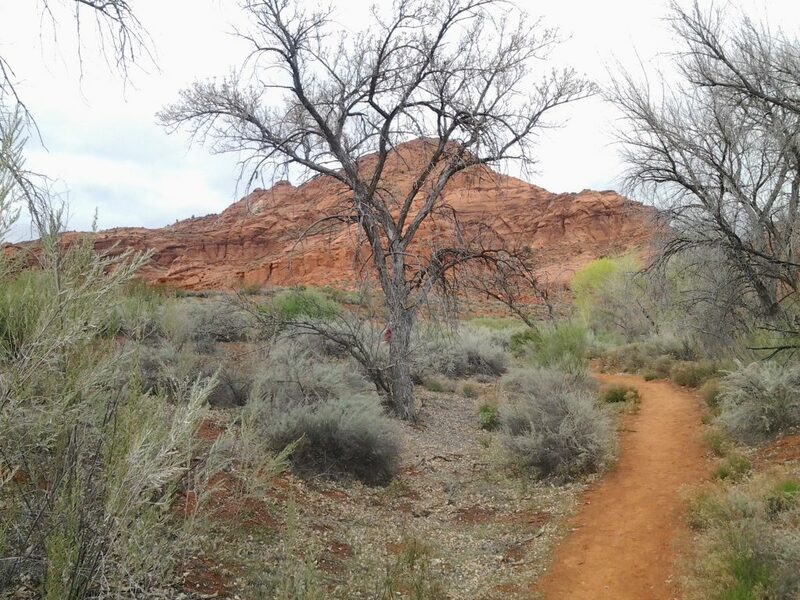 The area boasts a fantastic trail system that includes numerous trails such as the Quail Creek, White Reef and Silver Reef trails, et cetera. These provide a variety of perspectives on the one-of-a-kind landscape. 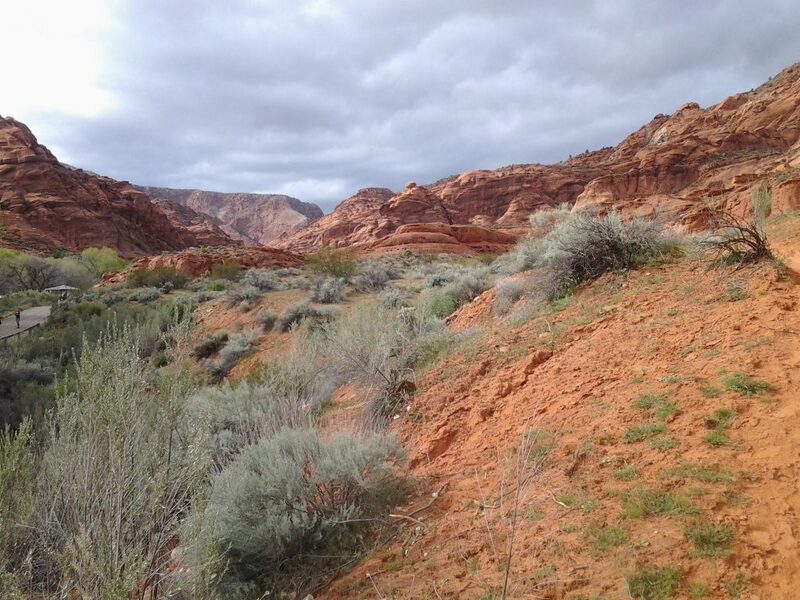 For more information on Red Cliffs Recreation Area, see its website or its online brochure. Excellent piece Mr. Wadsworth. Thanks. Thanks for the great article and the history. Good job! Thank you for your compliments. I really appreciate them and I’m glad you enjoyed the article. Please keep reading the Days Series!